The parties met again this week on Tuesday, Wednesday and Thursday in Dayton, Ohio to continue negotiations for a new Collective Bargaining Agreement. The Union negotiating committee was present and again joined by Grand Lodge Representative John Werkmeister. Present for the Company was Karl Hanisch, DOM and Anthony Bralich, outside counsel from FH Solutions. Progress continued this week with addition tentative agreements being reached on whole Articles 5 and 6. Comprehensive economic passes were completed by parties covering Articles 7, 8, 11, 16, 18, 19, 21, 25 and 28. While there has been some movement by both parties from their original economic values, there still remains a wide divide in positions from a value standpoint. Additional meeting dates have been set and include the weeks of March 13, April 3 and May 29. 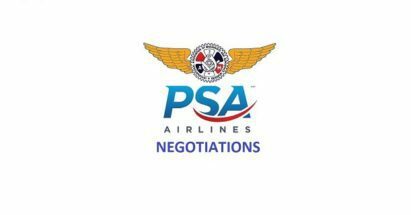 As was previously communicated, the Union’s position which is driven solely by input from you, remains steadfast in achieving an agreement worthy of your contributions to this airline, its mainline parent, and the success they have achieved and are currently sharing with their employees.